Observers are calling for prosecutions for individuals involved in the Libor scandal. NEW YORK (CNNMoney) -- It's not just banks feeling the heat in the Libor interest-rate-fixing scandal. As public outrage grows, observers are pressuring law enforcement to ensure that the individuals involved end up behind bars. Last month, British banking giant Barclays (BCS) admitted that its traders had colluded with those at other banks to manipulate the London Interbank Offered Rate, or Libor, a key benchmark for trillions of dollars worth of loans and derivatives worldwide. In response, a group of senators including Carl Levin of Michigan and Jack Reed of Rhode Island wrote to Attorney General Eric Holder and Treasury Secretary Tim Geithner calling for forceful government action. "Banks and their employees found to have broken the law should face appropriate criminal prosecution and civil action," the senators wrote. In the House, Rep. Peter Welch circulated a letter earlier this month demanding that bankers implicated in the controversy "spend time behind bars." The calls from Capitol Hill echo those from commentators who are urging the government to pursue criminal cases against individuals, a form of accountability that has been largely absent in the major Wall Street scandals of recent years. In the current controversy, however, analysts say that such cases may indeed be within reach. "The odds are decent," said William Black, a law professor at the University of Missouri-Kansas City. "The case is strong, there are low-level folks who are low-hanging fruit, and there's a political need to do something." In announcing the Barclays settlement, the DOJ said its probe of "other financial institutions and individuals," led by its fraud and anti-trust divisions, is ongoing. That could potentially include staff at Barclays, who aren't protected by the firm's non-prosecution agreement. In addition, firms including Deutsche Bank (DB), JPMorgan (JPM, Fortune 500), Citigroup (C, Fortune 500) and UBS (UBS) have revealed that they are cooperating with investigations. To date, no employees from Barclays or any of the other banks involved with Libor have been formally accused of wrongdoing, and the Justice Department declined to comment on the matter. But documentation released as part of the Barclays settlement suggests some bankers should indeed be worried. In emails both to colleagues and traders at other firms, Barclays staffers talk openly about manipulating Libor for their own benefit, potentially providing prosecutors the evidence they need of criminal intent. "[I]f you breathe a word of this I'm not telling you anything else," one trader wrote in 2007. Among the charges that could be leveled in the case are wire fraud and mail fraud, both of which can carry stiff jail terms, said Michael Clark, a white-collar defender at the law firm Duane Morris and a former federal prosecutor. There's also the possibility of conspiracy and anti-trust charges if bankers from multiple institutions are proven to have colluded with one another. Prosecutors will likely try to use evidence against lower-level employees to build cases against higher-level staffers when possible, said Nick Harbist, co-chairman of the American Bar Association's White Collar Crime Committee and a former federal prosecutor. "I think there will be a lot of pressure to hold individual officers accountable," he said. 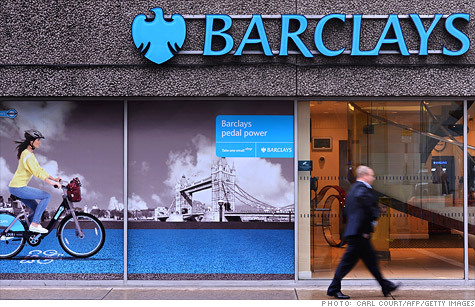 At the very least, managers of the Barclays trading desks involved are "potentially in harm's way," Clark said. In its own enforcement order in connection with the case, the Commodity Futures Trading Commission said Barclays' misconduct "occurred on an almost daily basis" and encompassed "multiple desks, traders, offices and currencies." Brad Simon, a defense attorney and former federal prosecutor, cautioned that the Justice Department's track record in recent years is cause for skepticism of its current effort. "There haven't been a lot of cases arising out of the financial scandals of the past four years or so, with the exception of insider trading," he said. "There was a lot of bravado back in 2008 about all these investigations, and nothing ever came of it." It's not just American regulators who are on the case, however. Given Libor's global reach, officials in countries including Canada, Switzerland, the United Kingdom and Japan are also investigating the issue, and could mount prosecutions of their own. In the U.S., meanwhile, Simon allowed that officials are surely sensitive to public anger over the affair. Arrests of traders allegedly involved may be coming within the next few weeks, Reuters reported Sunday. "Law enforcement likes to show that they're relevant and they're responding to scandals," Simon said. "There's no question that outside pressure plays a role."